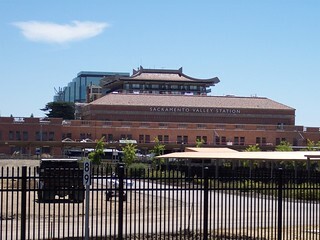 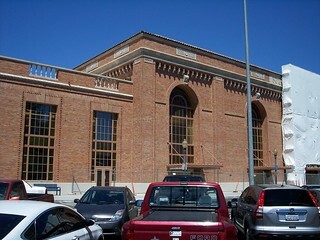 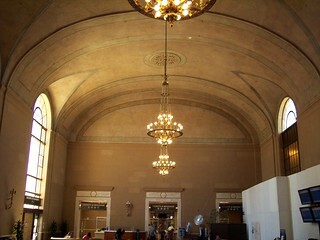 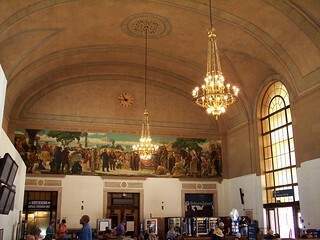 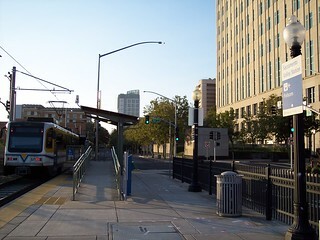 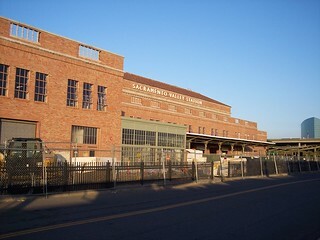 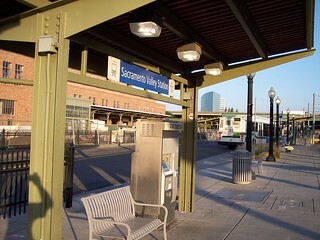 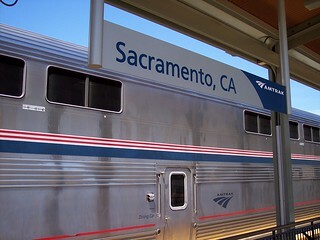 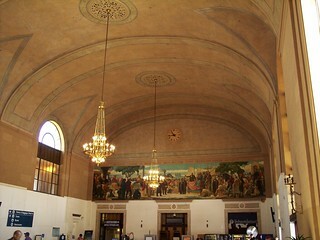 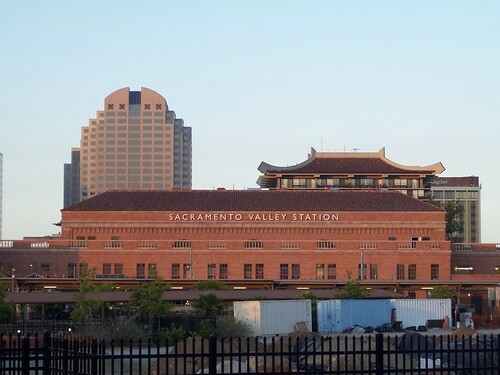 The Sacramento Valley Station as seen from the Amtrak platforms. 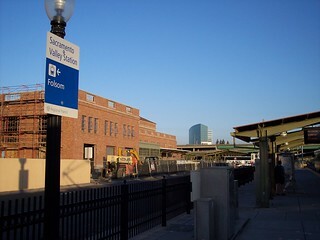 The platforms were recently moved away from the station building. 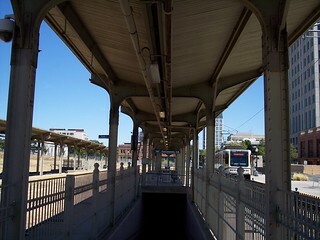 The old platforms and a now closed entrance to an underground passage. 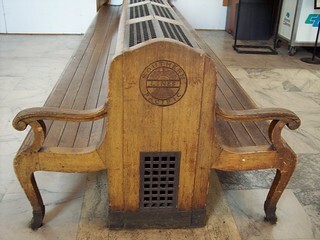 Old South Pacific Lines benches inside the station. 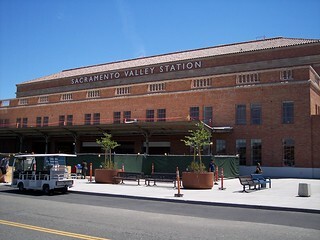 The station was undergoing major renovations both inside and outside when we visited.